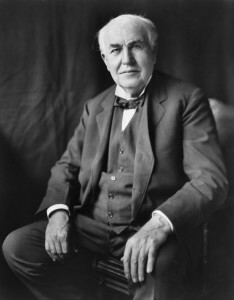 Listen to a selection of Edison recordings from the Thomas Edison National Historical Park archive in MP3 format, arranged by genre. The content of the recordings is mostly music, covering many different genres popular in the United States during Edison’s era. This entry was posted in Streaming Audio and tagged audio on November 11, 2013 by wjlevay. This entry was posted in Streaming Audio and tagged audio on October 21, 2013 by wjlevay.